● Lumber Liquidators offers a low-price guarantee where it will match competitors’ prices for similar products, calculated as total cost including shipping. Visit the site for more details. ● Check the Sale section for weekly deals on clearance and overstock hardwood flooring, tools and accessories which could save you as much as 65% off regular prices. 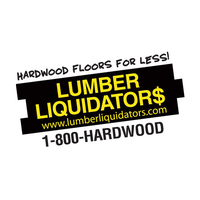 ● When available, Lumber Liquidators coupon codes tend to offer shipping deals or discounts as high as 10%. Other promo codes may require a minimum purchase amount (past example: $100 off orders of $2000 or more). ● You can take advantage of free shipping by having your order delivered to the nearest Lumber Liquidators retail store. ● Lumber Liquidators periodically features promos on its homepage, which may apply on select items or on products in the entire site. Wood items that you can use to update your home are available for sale from Lumber Liquidators. They carry an extensive collection of items ranging from solid hardwood to molding and accessories for residential and commercial projects. The navigation bar on the home page includes different product categories including vinyl, laminate, bamboo, cork, wood look tile, engineered hardwood, and solid hardwood. You can also take advantage of the design tools that they have on the site and find more information about financing and installation packages that they have to offer. For inspiration for your own project, take a look at the “Before and After” tab. For most up to date offers check out Lumber Liquidators on Facebook and Twitter or contact Lumber Liquidators Support for any questions.